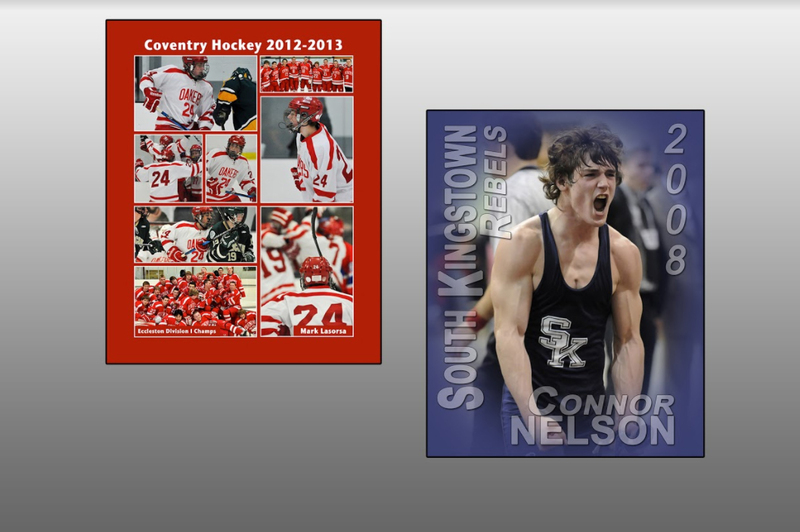 Nothing displays and keeps the memory of a great event or athletic career like a custom poster or collage. Risportsphoto.com offers collages of teams or athletes, posters, and prints in many sizes and styles and on different materials. Contact Jerry risportsphoto@cox.net 401-741-8383 to discuss the details of the poster or collage you would like to create. Discuss how many and which photos you want to use in your custom poster or collage. Order your poster or collage here. He will then create a “proof” that you can view and change. The final version of your poster will be printed once approved.